2/08 6-9pm Queen Esther's Bracelet - Bloomin Beads, Etc. 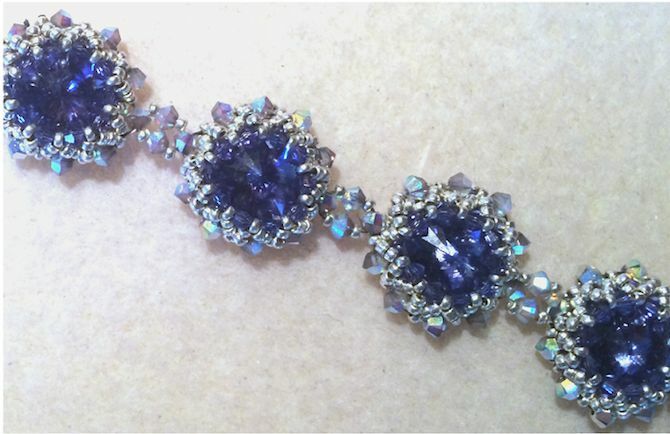 This is a stunning group of Swarovski Rivoli elements creating this bracelet! Each one is delicately bezeled with bicones and seed beads. Sparkle Power! Come and enjoy creating this beautiful bracelet with us! Gorgeous display of bezeled rivolis fit for a Queen!